The 'tip' of Australia is a bucket list must for many travellers, attracting 4WD enthusiasts, grey nomads, fishing charters, wildlife buffs and beach goers alike. With our rich and diverse landscape from rainforests teeming with wildlife to our rivers and estuaries home to crocodiles and fish or our beautiful beaches stretching as far as the eye can see, there is certainly something for everyone in the NPA. Our communities are one of the few remaining places in Australia where indigenous cultural traditions are practised authentically, and often shared with touristrs and visitors. If you're looking for a true taste of Cape York, try some localy caught fish or the local favourite, simmo chicken, have a yarn with a community elder or watch the kids spear fish and stingray in the clear waters. There are many tourism operators who operate within our region, varying with what you'd like to experience, or you can head here on your own and still have the adventure of a lifetime. Some NPA tourism operators and businesses have put together a website with a wealth of local tourism knowledge, we encourage you to visit the site before you start planning your trip. We ask that all tourists pelase treat our region with respect and remember that as they explore, they are visitors upon traditionally owned land. Please be respectful when entering community, the bush or campsites. Rubbish bins are provided at most popular camping sites, and if not, please take your rubbish with you. 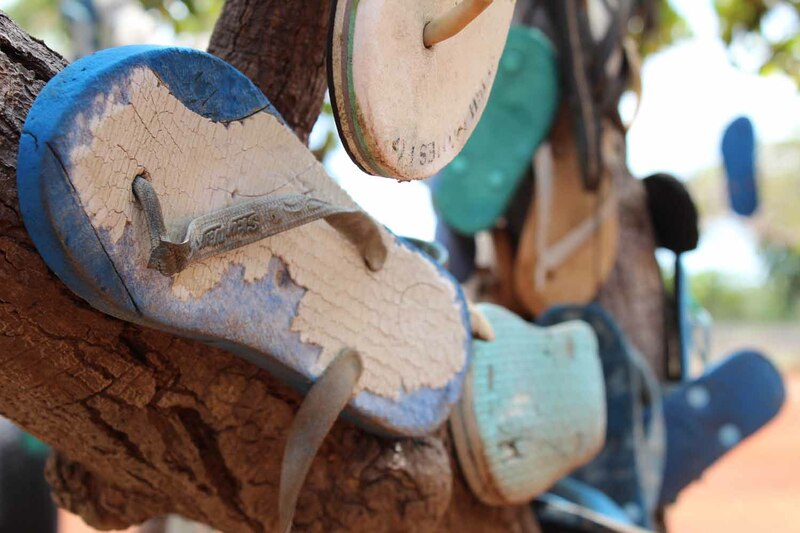 Please take only photos and leave only footprints, or perhaps a thong on a local thong tree!